With the Q-drive technology, BenchMixer provides a smooth vortexing even any compatible sample sizes, including 50ml tubes. The counter balance system minimizes noise and excessive vibration while maximizing vortexing action. 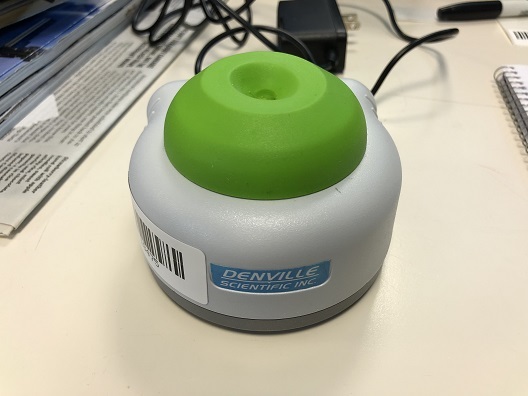 The product also features a powerful motor, continuous or ‘touch’ operation, and accommodates a wide variety of accessories. 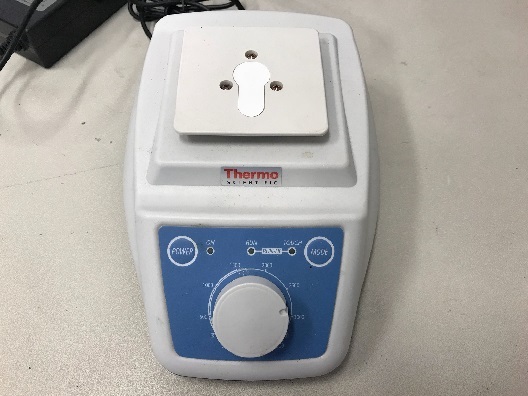 Dimensions: 5" x 6.3" x 6.7"
The BenchMixer XL is a heavy duty vortex mixer designed to facilitate hands-free mixing in tubes, flasks, vials or cylinders. 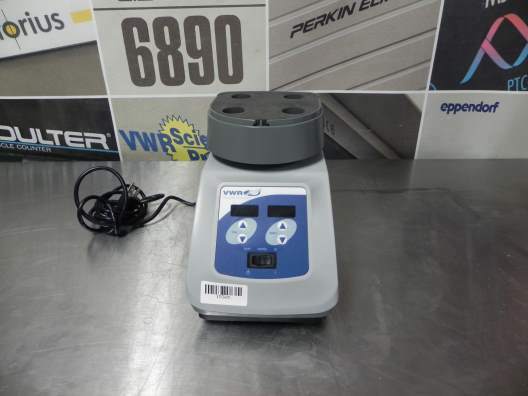 It is ideal for the QuEChERS pesticide analysis method and is instantly adaptable to an exceptionally broad range of vessels, racks and applications (horizontal or vertical). The precisely balanced drive system includes an oversized motor that delivers accurate, reproducible speeds up to 2500 rpm with rattle-free operation and minimal vibration. The programmable pulsing function allows for time specific interval mixing, increasing agitation. The 7x12 inch platform accommodates a wide variety of standard, pre-drilled tube racks. 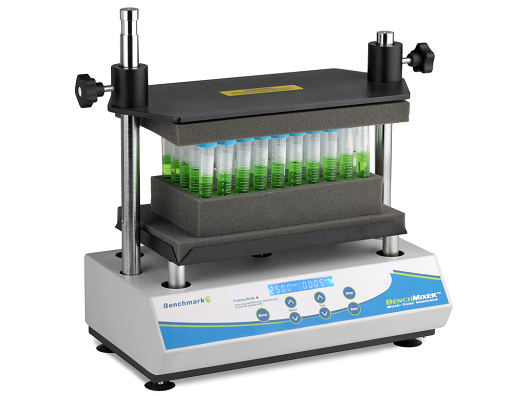 Additionally, BenchMixer XL can easily be adapted to almost any type of vessel commonly found in the laboratory. Timer: 1min. to 99 hr 59min. 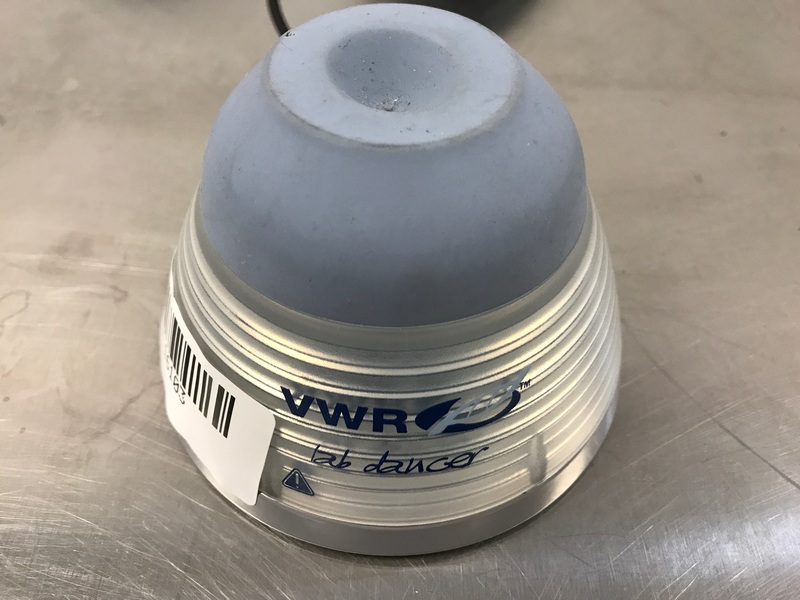 With a 4mm orbit and fixed speed of 2800 rpm, the Vornado BV101-G instantly vortexes even the largest samples, including nearly full 50 ml tubes. Despite its powerful motor, the Vornado has a footprint of less than 4x4 inches, allowing it to fit on even the most crowded bench. One of its feature: Insta-Touch operation means that the motor is automatically activated with slight pressure on the center cp head. Operation is smooth quiet and efficient. When pressure is removed, operation immediately ceases. 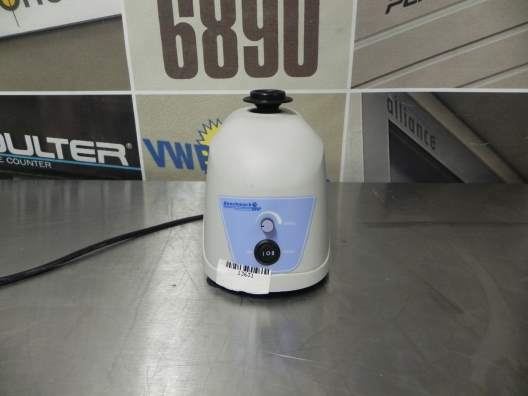 The Vornado’s unique head design prevents liquids from entering the housing, prolonging motor life. The Vortex Genie Mini S8223 is a compact lab mixer, with 10 levels of vortexing action of single tubes, from gentle to aggressive. The single cup head is made of thermos plastic rubber and is chemically resistant. The Vortex Genie Mini S8223 has a tough metal exterior with just enough weight to keep the instrument from walking. It’s simple to use, simply turn the knob and let it get to work. 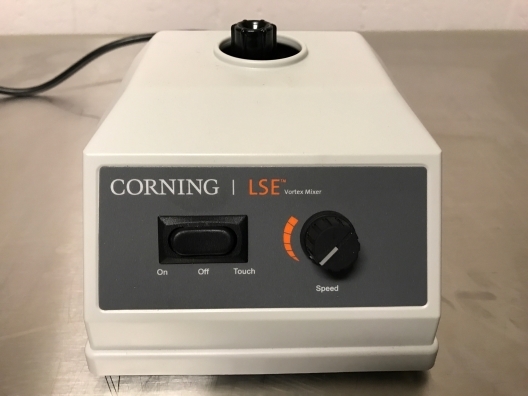 Dimensions (L x W x H): 5" x 6" x 7"
Vortex mixer suitable for single small containers up to 30 mm in diameter, for example test tubes, centrifuge tubes and microtubes. The upper casing is PP and the test tube surface is made from inert TPU plastic; the bottom section is a coated, zinc die-casting. 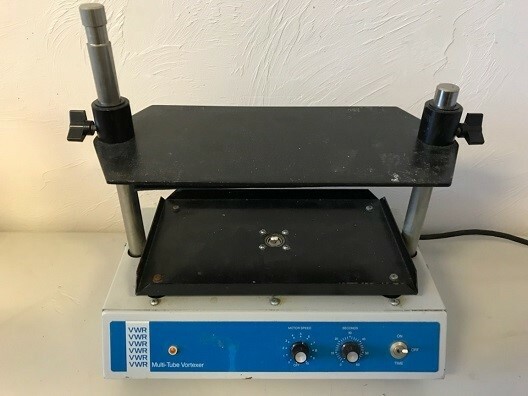 This vortexer is comprised of a soft foam rubber pad that permits mixing of 1-4 test tubes simultaneously. It is excellent for mixing the contents of small flasks with closed tops, and the durable plastic casing is both acid and alkaline resistant. 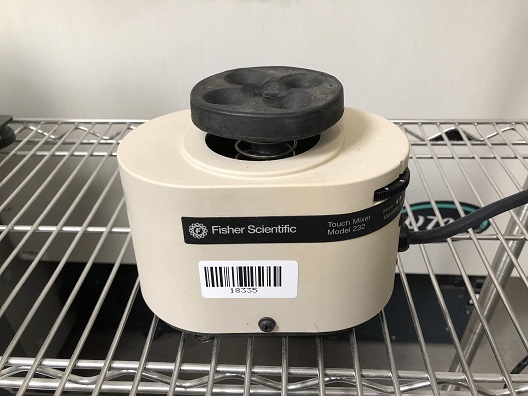 This vortexer is compatible with enzymatic and RIA assays, viral dilutions and biochemical and precipitated assays. Height (English) Exterior: 4.2 in. Length (English) Exterior: 5.5 in. Width (English) Exterior: 5.5 in.